A bet you know this saying…and if you’ve been using social media you know that images have become extremely important for user engagement. Personally, I mostly just scroll through images, and if I see something interesting, I stop and read…and you know I’m not the only one. 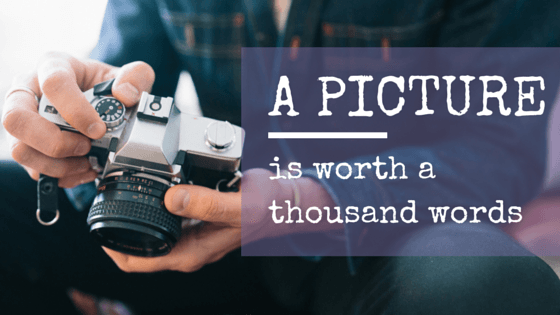 Whatever you post online; be it a blog post, contest, announcement, offer, workshop etc., choosing engaging image to accompany your content will have a massive impact on whether your post gets read or not. If you don’t believe me, ask yourself, why Twitter is no longer ‘words only’ platform, or why Instagram and Pinterest have the biggest click through conversions. So where do you find engaging photos? Finding interesting images is not that hard. You can purchase stock images (please think outside of the box when searching), search Flicker (make sure you check licence) or make your own. The real question is how do you turn an ordinary image to something more engaging without knowing anything about Photoshop or let alone graphic design. This is a desktop and iPad app. What I love about it is that it’s so simple and free. It already has set up dimensions for different social media graphic elements (Facebook profile and cover image, Pinterest post, Instagram post etc) and other most common graphic design elements such as business cards, posters, invitations etc, or you can choose your custom dimensions. It has various design elements (backgrounds, layouts, shapes, lines, frames, icons) that you can just drag and drop and make beautiful design. And if designing is challenging for you, then you can just use pre-designed layouts created by Canva designers and just replace content with yours. You have free and paid options. You can also publish your designs (if you choose to) or look for inspiration from designs of others. There’s really no excuse for bad graphics. “It’s like a graphic designer in your pocket”. I just love this mobile app. You can add awesome text to your photos in most gorgeous and unique fonts, colours and combinations. It has tons of captions included, for days when you don’t have anything to say. You can easily import photos from your phone library, dropbox, Google drive…any place you can access from your phone or you can choose from beautiful backgrounds and photos that come with the app. You can post directly from the up to most popular social media accounts or send your designs via email. You can easily add watermarks and logos on top to protect your designs. Unfortunately it’s only made for iPhones. This free tool that can be used as desktop app or on your Android phone as well as iPhones. Simple and advanced photos editing, HDR photos, beauty retouching to turn your photos into amazing photography. You can create various types of covers, collages and photo cards. It’s fun and easy to use…so no ore boring invitations. There are many other photo editing and enhancing tools out there, that might be even more popular then what I use. The key here is to choose a tool that’s easy to use for you, it makes you happy (not angry) when you’re using it, and it gives you results you want in the shortest time possible. I would love to hear what your favourite photo editing tools are…please share a link in comments below!